ESPNcricinfo: On day two in the day-night tour match in Hobart, virtually everyone in contention to play the Test next week had a modest outing, with the exception of legspinning-allrounder Marnus Labuschagne. Most in the Sri Lanka top order got starts, but could not quite get themselves to 50, while openers Matt Renshaw and Joe Burns – both in the Australia squad – were unable to impose themselves on the game either, falling for 10 and 22 respectively, in the CA XI’s second innings. 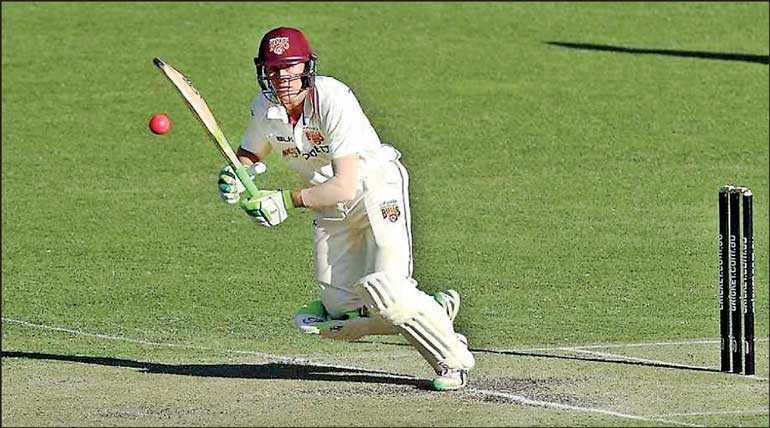 Labuschagne, however, made creditable contributions with both bat and ball. He claimed 2 for 27 from his nine overs, dismissing Sri Lanka captain Dinesh Chandimal as well as Dhananjaya de Silva. When Sri Lanka’s overs were up (each team can bat only a maximum of 75 overs in the first innings of this match) and they had declared on 5 for 176, Labuschagne then hit 33 not out from No. 3. Responding to the CA XI’s 5 for 316 dec, Sri Lanka had begun the day on 0 for 38, but lost Dimuth Karunaratne early in the day to an lbw against Scott Boland, for 44 – that score later turning out to be the highest in the Sri Lanka innings. Lahiru Thirimanne, scoring as tentatively as ever, mustered a 109-ball 32, and Chandimal made a 32 of his own, off 80 balls, but no Sri Lanka batsman took the innings by the collar the way Kurtis Patterson and Jake Doran had for the CA XI in the first innings. Roshen Silva was perhaps building to a substantial score, on 36 not out off 91 balls, when the innings hit the 75-over mark and the visitors were obliged to declare. Sri Lanka fast bowler Dushmantha Chameera, who had been the team’s best bowler in the first innings, then removed Burns, while Kasun Rajitha got rid of Renshaw, later in the day. Labuschagne, though, put on an unbeaten 55-run partnership with Patterson before stumps. The CA XI lead by 239 runs with eight wickets remaining.